South Africa will host the 2023 Netball World cup, four years after the upcoming edition mid this year. This was confirmed after the African nation beat four times world champions, New Zealand in the final round of bidding. The two countries (South Africa and New Zealand) made bid presentations in Singapore late last year where the International Netball Federation (INF) effectively had to decide. 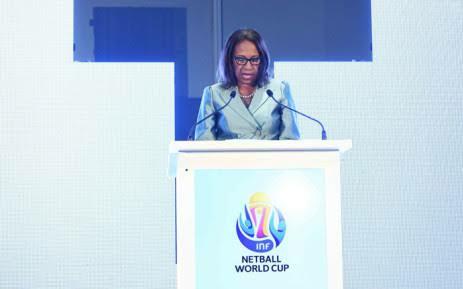 Molly Rhone, president of the International Netball Federation (INF), said hosting the tournament in South Africa would have “a greater impact” as reported by BBC. “We were delighted to receive two exceptional bids and the INF Board was satisfied that both Netball New Zealand and Netball South Africa would be capable of hosting a successful and thrilling NWC2023,” Rhone said. “The INF Board decided that the significant investment the South African Government and Western Cape were prepared to make over the next four years in netball facilities and coaching programmes in South Africa, the African continent and beyond would deliver a greater impact on the development of global netball. After years of the showpiece eluding the ‘Dark Continent’ it will be the first time that the Netball World cup is hosted in Africa. South Africa was the first African country to host the FIFA World Cup, the Cricket World Cup and the Rugby World Cup and will now add the netball showpiece to the list. About R2.5 billion is expected to be invested by the South African government to have a successful tournament.